Another day, another slay for our queen Cardi B. 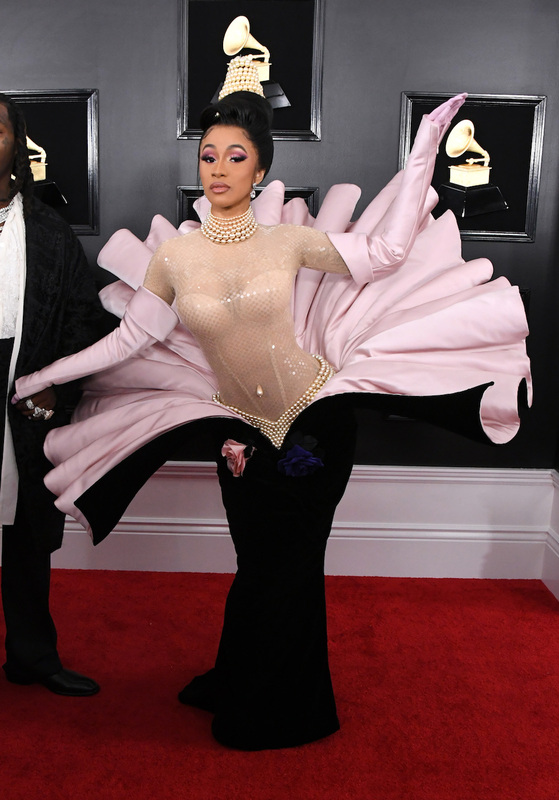 At the 2019 Grammy Awards, Cardi caused jaws to drop and wigs to fly when she made her entrance in a vintage Thierry Mugler confection that reminded many of Botticelli’s Birth of Venus painting. While the glorious, blossom-like dress will likely be haunting our dreams tonight (in the most delicious of ways), we can’t overlook Cardi’s hair, which was majestic in itself. Designed by celebrity hairstylist Tokyo Stylez, Cardi’s hair was a replica of the 1995 Mugler runway look, consisting of a beehive wig wrapped in pearls. How eleganza! 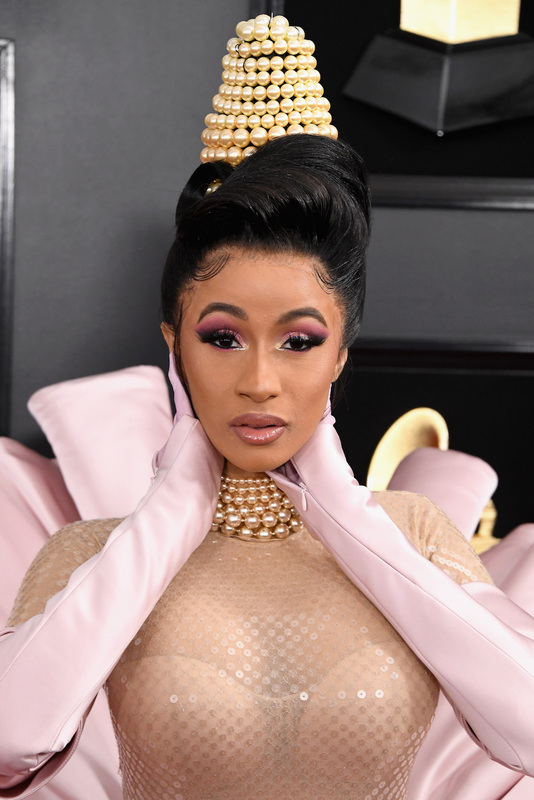 “The inspiration behind Cardi B.’s red carpet look is a ‘90s influenced pearl updo to play up her couture ensemble,” Stylez said in a press release. And with such a complicated hairstyle, he must have used an intense hairspray to hold it down, right? But Stylez used a Suave product—the Firm Control Finishing Hair Spray, which costs less than three bucks. He also used Dyson’s Supersonic Pro Hair Dryer to flash-dry spots, ensuring the hairspray dries faster. Cardi is nominated for five awards, including Album of the Year and Best Rap Album for Invasion of Privacy, as well as Record of the Year for her J Balvin and Bad Bunny collab, “I Like It.” The 26-year-old singer will also be performing one of her hits during the ceremony.